Discussion in 'OR3GUN' started by OR3GUN, Feb 21, 2018. 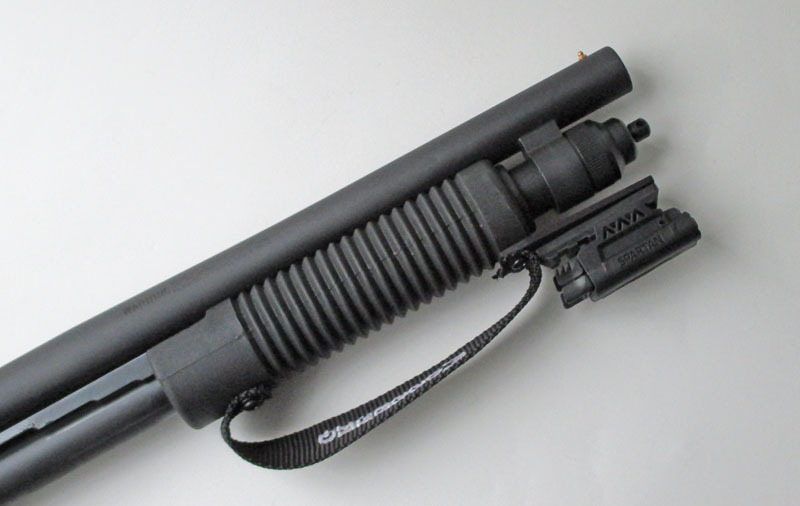 While it is a bit of a departure for us, when the Mossberg 590 Shockwave came out we quietly waited for the aftermarket to allow addition of a simple light/laser combo to the factory forearm. 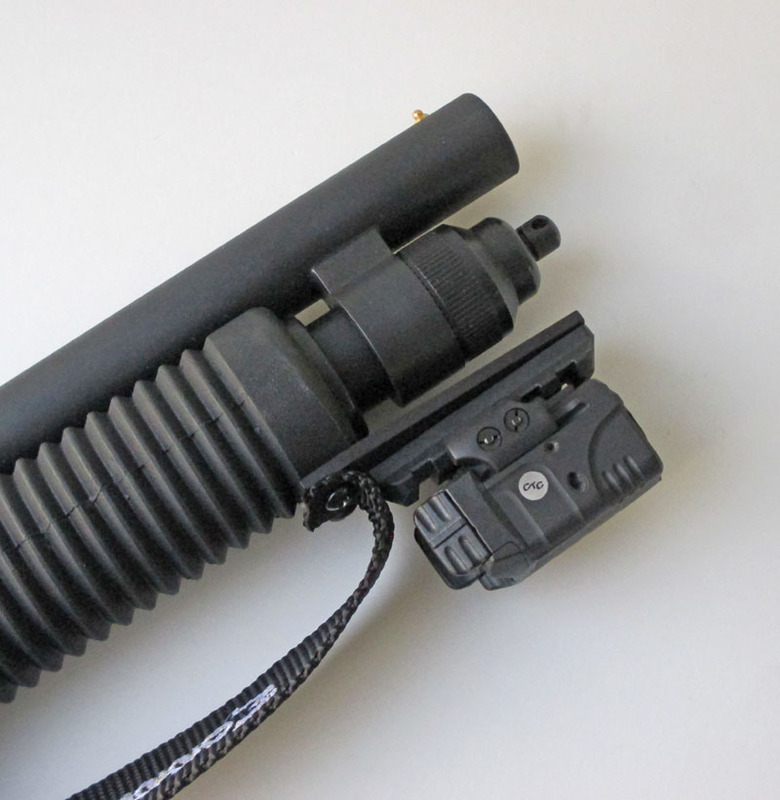 Nestled among our other unique sighting options, the Sight Saddle - Light Rail Platform (SS-LRP) is a simple way to mount a Light/Laser to any Mossberg factory polymer 'Corn Cob' forearm. As the Shockwave was designed to pack a punch into a lightweight package, we went with the same philosophy. 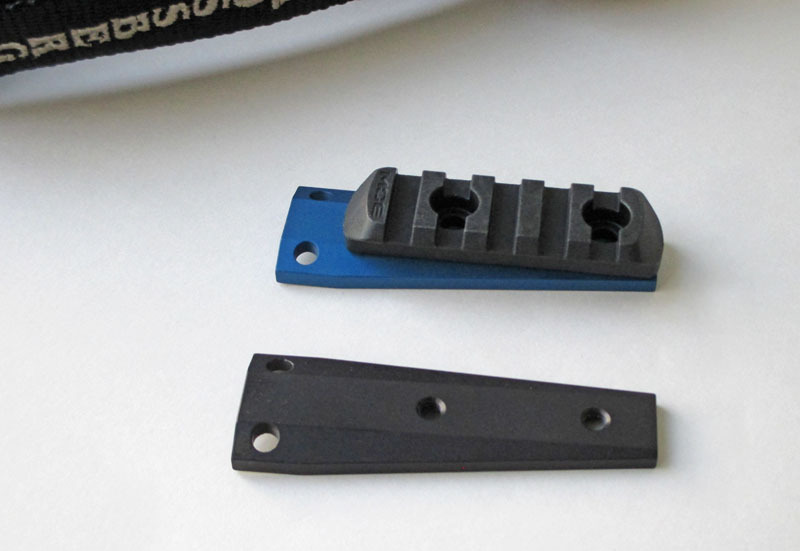 The SS-LRP mounts between your Shockwave's forearm and the factory strap using the longer, included screws. The SS-LRP includes a lightweight, polymer Magpul MOE 5-Position Rail section at no additional cost. Your hand doesn't have to leave the safety of the forearm strap to have full control over your light/laser. Still very much a Mossberg 930 focused company, but we like to play with the latest toys too! Sniffler and Elbert Garrett like this. Intesting part, unfotunately for me I keep my SW business end down....There two SW groups that I know of on FB with members who might want one. While i like the concept the mounting position interferes with a sling which many of us utilize daily on our shockwaves. However, for non sling users it should work fine. Could you make a separate piece that allows side mounting, i.e., utilizing a curved L shaped bracket that would allow mounting of the rail to either side of the forearm. Would facilitate utilization of a sling while the bracket remains mounted. Would be happy to test a side mounted bracket.